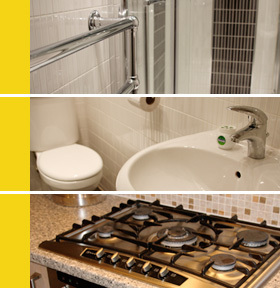 In need of a plumber in Prescot? … and anything else plumbing related in the Prescot area!! Prescot is a town and civil parish set within the Metropolitan Borough of Knowsley in Merseyside. It is situated very close to Liverpool, just 8 miles to the east of the city centre and lies within the historic boundaries of Lancashire. Despite being small the centre of Prescot has seven churches. Dominating the skyline is the 17th-century Prescot Parish Church of St Mary‘s. Tucked away behind St Mary’s is the Roman Catholic church of Our Lady and St Joseph.